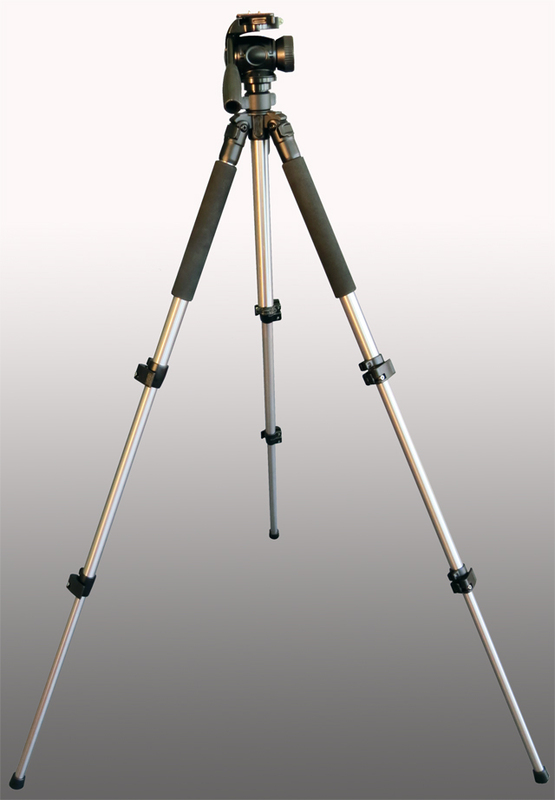 TP-6777 Professional Heavy Duty Lightweight tripod for pochade boxes. 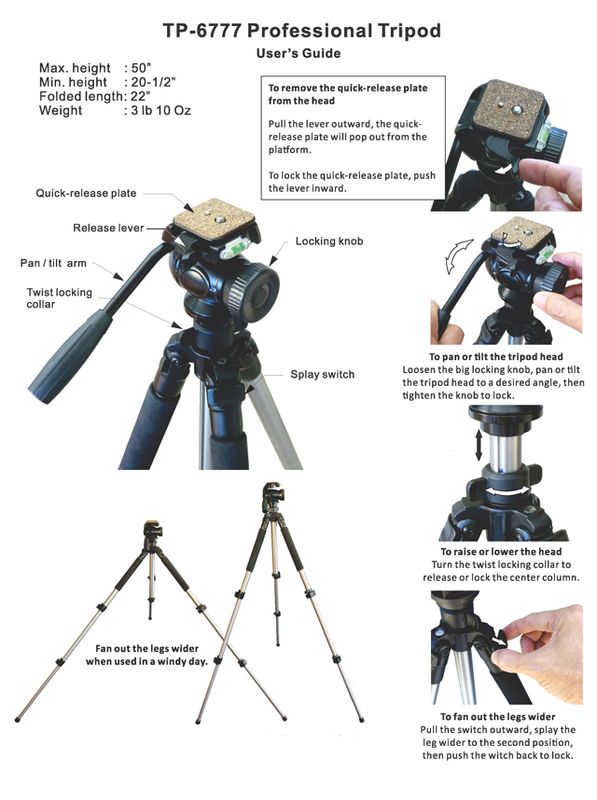 To find a suitable tripod for pochade box using in plein air painting is not that easy. 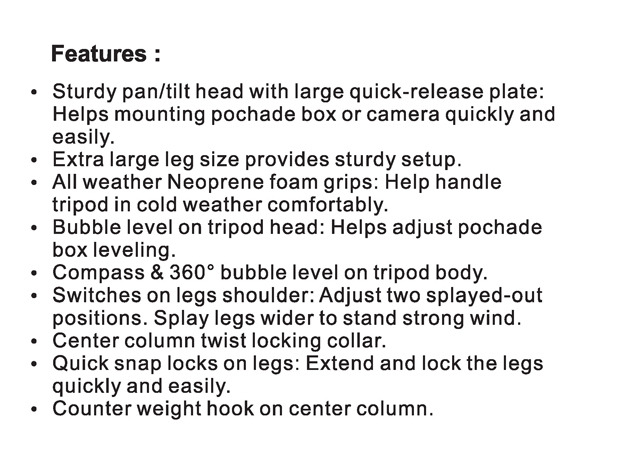 The tripod must be very strong to support the weight of the pochade box plus all the supplies on top of it. The tripod must also be very sturdy to avoid the wobbling caused by painting strokes applying on the canvas. The tripod must be easy to set up and equipped the pochade box instantly, and to adjust to any desired angle (tilting) for the artist to paint. It must also be lightweight to transport especially when traveling. There are many tripods out there in the market but they are all designed for photography. The behavior of a camera is not the same as a pochade box when mounted on the tripod. Camera is lightweight, small and static when in use. A pochade box is much heavier than a camera and dynamic when in use. A very heavy duty photographic tripod could do the job well but usually is very heavy and expensive. There are so many photographic tripods out there an artist can always has a hard time to choose a proper one which is poised between the price and performance. We take away the guesswork for you ! Our tripod has been carefully designed for Pochade boxes using in Plein Air painting. We elimitated functions not needed for painting so as to enhance the stability and reliability, mostly reduces weight. Max .loading capacity: 15 lbs. work on other tripod models.